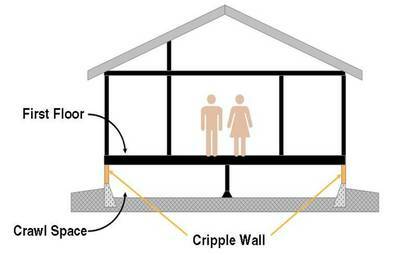 A cripple wall is a wall that is less than a full storey high, and it usually occurs between a foundation and the ground floor in a light wood frame building (thus creating a crawl space). These walls are weak because they are typically sheathed with only stucco or horizontal wood siding on the exterior side of the wall. These sheathing materials are inadequate wall-bracing methods. 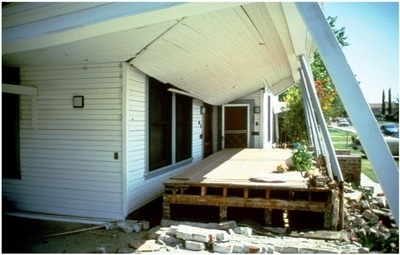 Damage and collapse of older wood frame buildings at the cripple-wall level was observed in past earthquakes.